KS PERMAGLIDE® plain bearings are ready to install on delivery, and should only be calibrated if a bearing clearance with a narrower tolerance cannot otherwise be reached. Calibration considerably shortens the service life of KS PERMAGLIDE® P1 bushes (see Tab. 1). 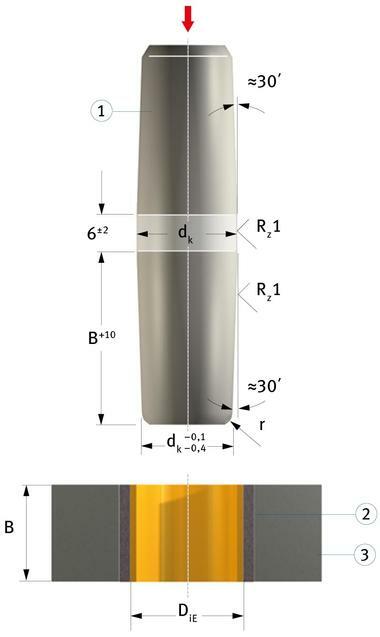 Figure 1 shows calibration using a mandrel. Table 1 contains standard values for the diameter of the calibrating mandrel dK. Precise values can only be ascertained through tests. DiE Inside diameter of the bush in press-fit state. 1) Standard value, based on steel housing. 2) Standard value for dry running.